This is the second of two stories previewing some of the cloud solutions being showcased at this year’s NAB Show in Las Vegas. Read the first story here. Members of the Media & Entertainment Services Alliance (MESA) representing the workflow solutions space at the 2019 NAB Show discussed here include Sohonet, Sony, Teradici, Wasabi and ZOO Digital. Sony’s booth at NAB 2019 will feature a new area showcasing artificial intelligence-based video analytics, Alex Rossi, senior marketing manager for media products at Sony Electronics Professional Solutions of America, recently told reporters at a pre-NAB press briefing in New York. Sony introduced the Media Solutions Division only about two years ago and has changed its name to “be more reflective of what we actually do, which is media services, and now that we’re adding automation and intelligent [AI and] machine learning, we again evolved the name a little bit more,” and now call it Intelligent Media Services,” John Studdert, VP of the Media Segment within Sony Electronics Imaging Products & Solutions-Americas, Pro, explained to reporters. Intelligent Media Services includes various Sony companies and services under one umbrella, including Ci, Memnon and Ven.ue. Sony continues to improve all these services and one way it’s doing that is by connecting them together, Studdert pointed out. Sony, meanwhile, understands the media industry is still “facing significant, massive changes” that include increased competition from not only traditional broadcasting companies, but also large new entrants to the sector through mergers and acquisitions, Yamanouchi said, echoing comments he made at last year’s pre-NAB press briefing. He also once again pointed to the need for media companies to meet the demand that’s been generated by the increase in over-the-top (OTT) video streaming solutions and continued popularity of mobile devices that are allowing consumers to view content anytime and anywhere. Sony will focus on two “core values” areas at NAB this year: Workflow efficiency and content value, he said. To improve workflow efficiencies, Sony is using its intellectual property (IP), cloud-based artificial intelligence (AI) and Intelligent Media Services, he said. On the content value side of the equation, Sony is focused on enriching content with resolution, High Dynamic Range (HDR), wide color gamut and high frame rate, he told reporters. 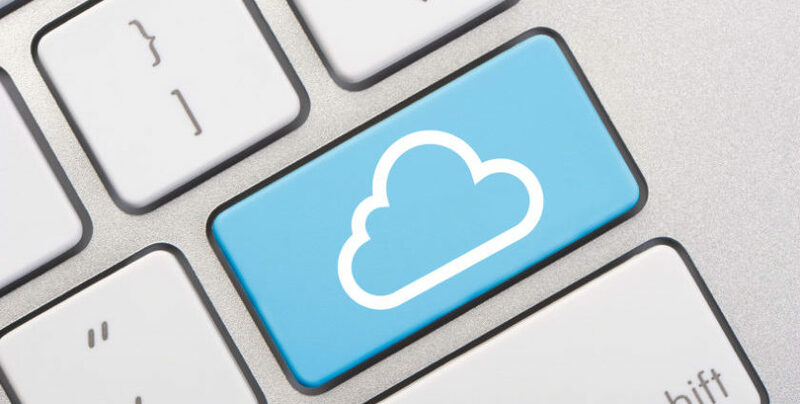 One area of focus “will be our latest Cloud Access Software features – including performance enhancements, management and orchestration service and artist tablet devices – all remotely delivered from a multi-cloud environment,” he said. Teradici will also showcase the PCoIP Ultra protocol enhancements it just announced ahead of NAB. The company made significant enhancements to its multi-codec PCoIP protocol, including 4K Ultra High-Def (UHD) high frame rate content support, designed to improve the experience of users working with demanding content, according to the company. The PCoIP Ultra protocol enhancements will be available as a technical preview to Cloud Access Software customers in mid-April, with general availability to follow in May, the company said in an announcement April 3. “PCoIP Ultra supports 4K/UHD in a couple different ways,” Teradici CEO David Smith told the Media & Entertainment Services Alliance (MESA). PCoIP Ultra represents Teradici’s “most advanced protocol enhancements yet, designed to meet the needs of the most demanding graphics-intensive applications while delivering the same lossless image quality and security our customers expect,” Smith said in a news release. The PCoIP Ultra enhancements “use an expanded array of encoders, enabling the choice of the most efficient hardware or software codecs according to content characteristics,” according to Teradici. That “flexibility results in a faster, more interactive experience for users of remote workstations working with high-resolution content, including creative design applications, dynamic wireframes, video editorial suites, and animation tools,” it said. At NAB, Wasabi will show how it’s offering a disruptive price and performance model that is one size fits all and tier free, with no vendor lock-in, and how 6,000-plus paying customers have already used Wasabi to store billions of objects. Wasabi will also tout some of its 600-plus solutions partners, along with more than 200 technology partners. Wasabi will be showcasing its “hot” cloud storage solutions, which promises to deliver low-cost, high-performance storage solutions to enterprises. The company’s highly scalable and distributed architecture is built at exabyte scale and is 100% compatible with AWS S3. The company has opened data centers in Virginia, Oregon, and Amsterdam.